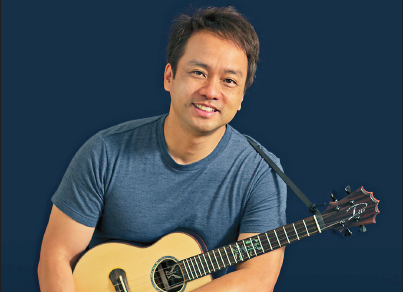 Daniel Ho to headline community concert on Nov. 23. The Japanese American Cultural and Community Center celebrates the unveiling of its newly custom-designed Bose Sound System at the Aratani Theatre on Sunday, Nov. 23, at 7:30 p.m. The event features six-time Grammy award winner Daniel Ho debuting his new project, ‘Ukulele Trio, with Randy Drake (percussion) and Steve Billman (bass). The music for the evening includes all original compositions sung in English, complete with stories about each of the songs. With a new focus on the live acoustic experience, the Aratani Theatre will have the first custom-designed Bose RoomMatch sound system in a performing arts venue in Southern California. This event launches a new chapter for the Aratani Theatre and for performing arts in the greater Los Angeles area. “We are pleased to partner with Bose to provide the best listening environment for our audiences and the premier venue for artists who value quality sound in an intimate environment,” said Leslie Ito, JACCC president and CEO. This event is a gift to all the supporters and devoted patrons of JACCC. Admission is free with RSVP. Visit https://web.ovationtix.com/trs/pe.c/9962260 for tickets and more information. The Aratani is located at 244 S. San Pedro St. in Little Tokyo.